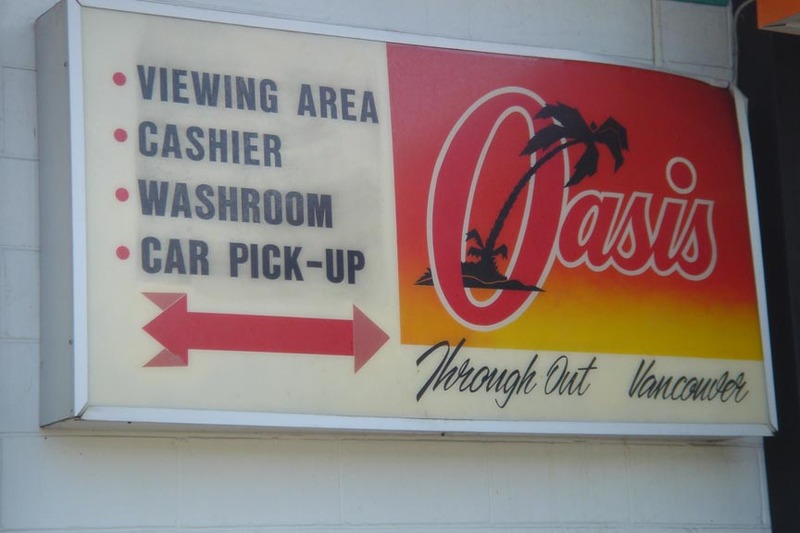 This is the logo of the Oasis Car Wash in North Vancouver. 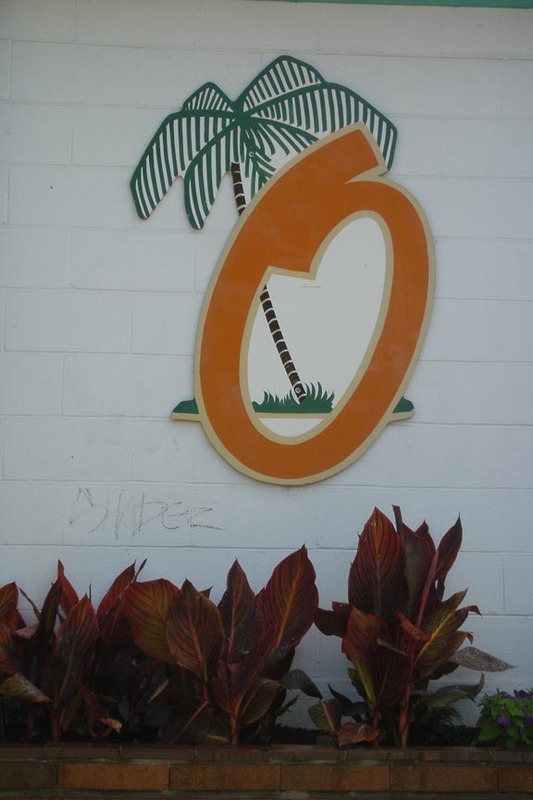 Everything about the Oasis gives you that time warp feeling: the unglitzy, one storey building surrounded by an unlikely profusion of palm trees ; the dated typography on the signs; the grey-haired cashier who calls customers “my love” or “my dear;” the orange and brown moulded plastic chairs with chrome legs in the waiting room. The Oasis car wash staff wear orange overalls. They are men of few words (“Wax?”), who concentrate on energetically vacuuming, scrubbing, and polishing the cars that go through day after day. You can watch the cars going through the automatic wash and rinse from the waiting room (or “viewing area”). There are arrows with red and white flashing lightbulbs that draw your attention to the wax dispenser. At the end, the car is unhooked from the conveyor belt; a staffer drives it out into the parking lot. It’s clean and shiny, with water still dripping from the underside: another fresh start. This entry was posted in Neighbourhood, Typography by anmaru. Bookmark the permalink.